Dirty Habits hosted the 1st annual Halloween Kite Jam, Downwinder in Cape Town. Wake the Goon is a wake skating event which will be held at the La Mercy Lagoon. Troy and his crew have been wake skating the La Mercy Lagoon for the past year and this sport has been shown a lot of interest from fellow wake skaters and spectators alike. This event will showcase some of SA’s most talented Wake Skaters – where these athletes will battle it out on various obstacles to win the R5,000 prize purse and be crowned champion. Thanks to Red Bull for making this event habppen. el Jimador Surf Classic this weekend. 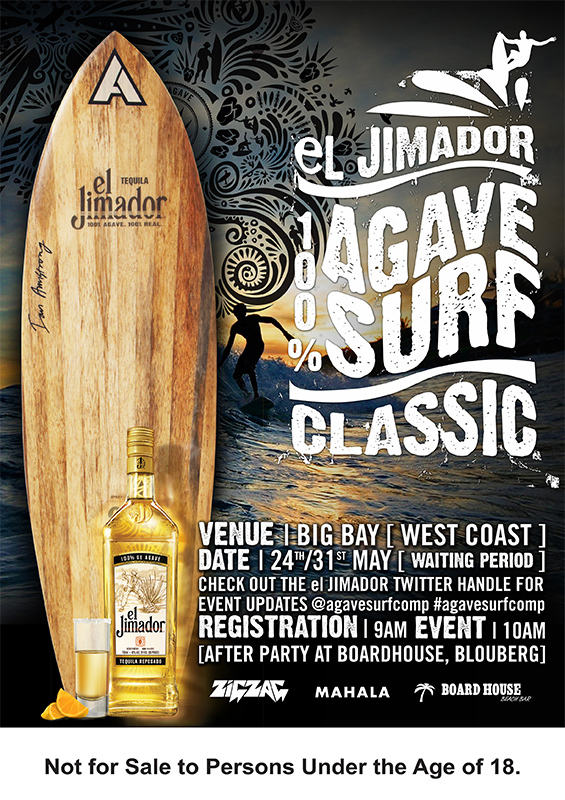 el Jimador Tequila, in partnership with Zigzag and Mahala, will be hosting the very first Agave Surf Classic at Big Bay, Blouberg, Cape Town between 24 – 31 May. 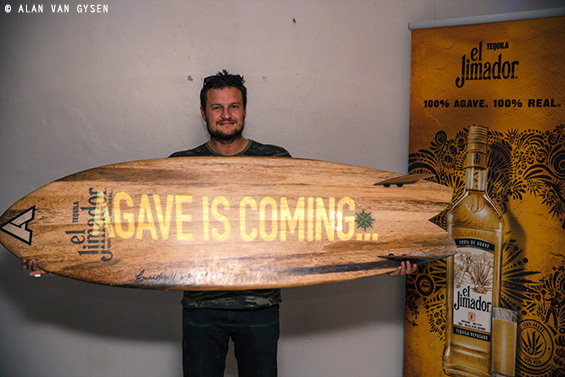 The premium 100% agave tequila has teamed up with local shaper Ian Armstrong and carpenter Jason Hayes to produce five unique agave surfboards, which contestants will have the opportunity to ride and if they do well, stand a chance to win and keep forever! The event has a waiting period and will run on June 7th and promises to be an action-packed day in the best surf possible, ending with the after party at the local beach bar, Boardhouse. Anyone over 18 years of age can enter, so if you’re amped on alternative surfboards (and good times) then the Agave Surf Classic is not to be missed. Contestants need to be at the beach by 9:00am to sign-up, while spectators are in for a treat as they watch the wave warriors shred these original wooden sleds. And then there’s the after party! Master craftsman, Ian Armstrong, has already taken care of R&D, so the boards should be ready to fly. Follow #AgaveSurfComp to stay in tune. Talented Cape Town shaper, Dutchie, inspected one of the agave boards at the opening function. Check out the video below, which shows the craftmanship and steps that are required to make one of these beautiful agave wood surfboards. Dirty Habits Wakepark opening went down like a cracker. With cold beers, small bikini’s, great music, awesome crowd and ofcourse some killer wakeboard action. With the opening of this new rail park in Cape Town it wouldn’t be an easy challenge walking away with the gold. The park is a completely new set up and the only one of it’s kind in SA, using the Solid Air Ride Systems (Twin tower system) so the riders only had an 8 minute practice set to try out this system, with some advanced testicles like the new 10m Handrail being one of the features, the boys were forced to step up their game, with any hope of competing in the 2014 Ultimate X – eXtreme Games. with the final consisting of Brother’s Jacques Labuschagne and Marius Labuschagne (Liquid Force) , Stuart Gutridge (Hyperlite) and Jeanu Du Plooy (CNTRL), the crowd was inline for an awesome showdown. William ‘Rikkets’ & Jenz Henriksen kept the crowd and riders pumped all day. bigup’s boys. Johnno Scholte (SLINGSHOT) pro kiteboarder from the Netherlands also joined the event for a bit of fun. Thanks to everyone who made it an amazing day, all the people who have helped with the setup of the Cable Park, Including Tich Mitchell and Laurence Gutridge. This is just the beginning of an era. So keep your ears and eyes open. Follow: Dirty Habits Playground on FB to stay uptodate with events and contests. Thanks To The Endless Summer Beachhouse for the always bringing a good vibe to a party. and Solid Air Ride Systems Bringing wakeboarding to your backyard. The 2013 SA Wakeboaridng and wakeskate Champs Stop 3 went down this weekend at Rietvlei in Cape Town this weekend, the condition were super tough with gusts of over 35knots blasted riders side on and almost flattened the wake at times. Despite these gnarly conditions and surviving on the water everyone was throwing down hard. Thanks to all the sponsors and everyone involved. Sunburn, windburn and big smiles all around. Dirty Habits own, Graham Howes did a kite demo between runs. 1 Jacques Labuschagne, 2 Keegan McDonough, 3 John McDonough. As charts and websites are confirming the possibility to have great weather and wind conditions for the coming weekend, this is your “OFFICIAL CALL” for the Red Bull King of the Air 2013. With a cold-front hitting the cape peninsula on saturday night the expectations are to have “proper southerly wind” starting form the late morning of Sunday 03 Feb, sharply increasing to 30/35 knots during the day. Together with a long period moderate swell to complete the right ingredients for “perfect” conditions. “Green” light for the Red Bull King of the Air 2013. Get Down to Big Bay on Sunday 03, for the Biggest and most extreme Kite comp in history. Sixteen invited kiteboarders from around the world will be joined by eight wildcards. world number 1 in 2012 Youri Zoon (NED), Lewis Crathern(UK), who recently jumped over the Brighton and Worthing piers, and local wildcard Oswald Smith who goes into the competition having just won SA Champs. creativity each kiteboarder executes their movement with. must leave the water. The last man standing is the winner. internationally, at the tender age of 49. Ruben Lenten (NED) Redbull Extreme Kiteboarder. Dirty Habits is stoked to announce that The Boardhouse surf, kite, skate and beach bar is opening this friday 19 Oct in Bloubergstrand, Cape Town. 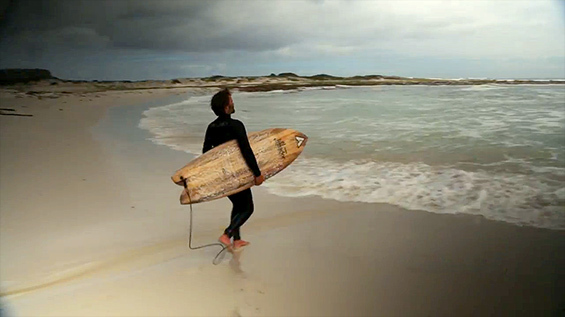 The Boardhouse is a unique concept that will finally give us boardrider’s a place to call home. It’s a Surf Bar with an indoor skatepark, coffee/breakfast bar that is geared to host events and parties for all the local surfers, kiters, wakeboarders, windsurfers SUPers and skaters. Dirty Habits and The Boardhouse will be joining forces to bring you the best and biggest events, theme nights, parties and boardriding competitions in Cape Town. Join The Boardhouse and Dirty Habits for the Pre Opening of Cape Towns’ first board riders club. Our Vision – We are Taking Wakeboarding to a Digital Audience. We will be filming the event from every angle with 4-7 Go Pros and at least two HD Cameras and two action photographers. All videos and images will be professionally edited (with branding) and posted to the web including, Wake to Wake (SA’s largest waterski online shop) and dedicated You Tube and Vimeo sites. Is Winter Getting you down, well then come down to and for a bit of boatriding behind a Proper wake boat. This is an opportunity MB sports and Liquid Force are giving wakeboarders from cable or boat to ride boat. If you don’t own a boat, or want to learn new tricks come join us for a chilled relaxed time just cruising and RIDING. That’s the whole point of the day, to RIDE & HAVE FUN. Liquid Force have even decided to contribute a few prizes that makes it fun and motivating to learn and progress. Prizes will be for most improved rider, and best trick of the day. BUT its not a competition. Like said above. Its a day that MB and Liquid Force want to give the riders, a opportunity to ride behind a world class wakeboarding boat and have fun. Whats it gonna cost? A normal boat set costs about R250-R300 for 15min set. That’s pretty hard on the pocket. So we working on it been around R250-R300 for a day of riding. We will allocate slots to riders. We will have a coach there if you want to learn new tricks or just want some advice. We going to be having a braai as well and there will be a trampoline to keep you warmed up and training when you not riding. DONT HAVE A WAKEBOARD? we will be providing boards for you to shred on. The MB boat will be on display and in use, If you are interested in a boat, there’s no better time to see it in action. Location, Milnerton Aquatic CLub, Bloubergstand.